theChurch on Strayer is a place where people can meet Jesus, engage in life-giving community, and everyone is welcome. We believe in creating a space where people can have authentic encounters with Christ, discover their gifts, and use them for God's glory. Join us for our weekend services either in Maumee, OH, Fremont, OH, or Online! Often we pass through an identity crisis. Even feeling like victims of identity theft. We suffer from a spiritual sickness caused by a lack of intimacy with God. He knows us better than we know ourselves. Tony Scott says “somebody” can’t define you. Circumstance can’t define you. You matter to God. In 1974, after receiving a BA from Lee University, Tony & ShirleyAnn Scott accepted the pastorate of their first church in Sylvania, Ohio, with a congregation of 45 people. 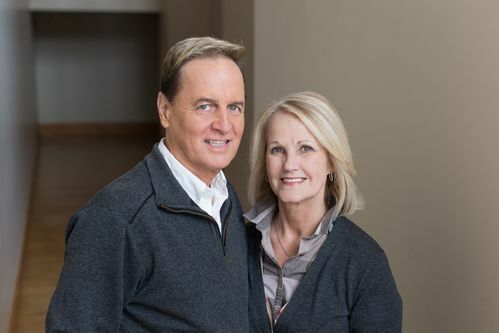 Their vision was to impact the city by helping people connect with God and reach their full potential. The congregation began to grow and in 2005, theChurch purchased this 57-acre campus, which was formerly a Fortune 500 company. In April of 2003, their vision was expanded by opening a campus in Fremont, Ohio where the life-giving message of the Gospel, the passion and joy of weekend services is contributing to the growth of these campuses. With a stronger passion for ministry and Chris-centered living, our pastors' hearts remain true to God's Kingdom. They have committed their lives to teaching the Word of God, mentoring and helping people discover their purpose and live their God-intended destiny.